The governorship candidate of the Labour Party in Ekiti State Hon, Opeyemi Bamidele has formally defected to the all Progressives Congress (APC) alongside all his supporters. 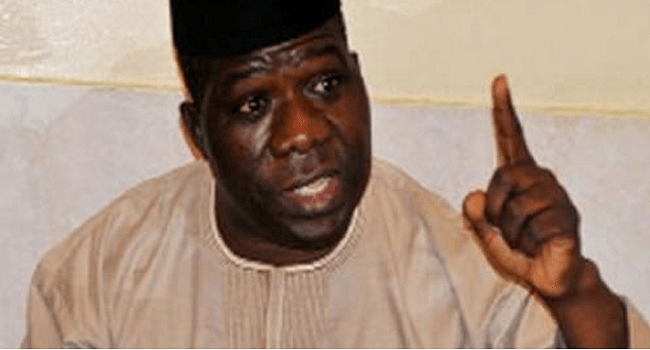 Speaking with journalists in his country home at Iyin Ekiti, Honorable Opeyemi Bamidele said the decision was reached after a due consultation with his immediate family, friends and supporters within and outside Ekiti State. He added that he believes that Ekiti State must be part of change movement that will take the state to the highest level. “Nigeria of today is moving forward, therefore every well-meaning politician that is driven by the nation of politics as a call to service must join the moving vehicle for change in the interest of the people and security”, he said. The Independent National Electoral Commission (INEC) declared the candidate of the People’s Democratic Party (PDP), Mr Ayodele Fayose as the winner of the June 21 governorship election in Ekiti State. Mr Fayose, according to the electoral body scored 203, 090 number of votes to beat the candidate of the All Progressives Congress (APC), Mr Kayode Fayemi, who scored 120, 433 while the candidate of the Labour Party, Bamidele Michael Opeyemi scored 18,135 votes to come third.